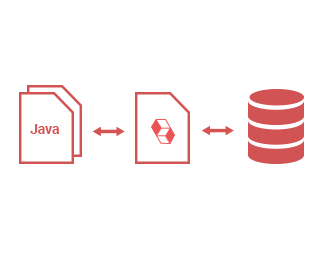 UML extension works seamlessly integrated with Eclipse in a unified platform which facilitates Java round-trip, database design (ERD) and Hibernate generation (ORM). 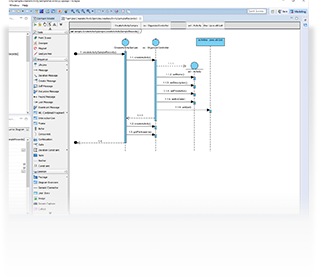 The embedded UML modeler supports all UML 2.x diagrams and notations that allows you to draw any UML diagrams. 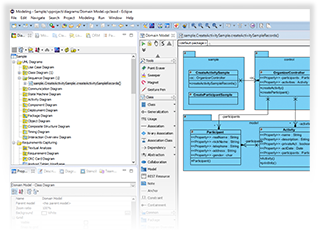 Develop domain class model and generate the Entity Relationship Diagram (ERD), database schema and Hibernate code for database application without writing complicated SQL! Teamwork capability enables your team work collaboratively anytime and anywhere with the advanced cloud technology.